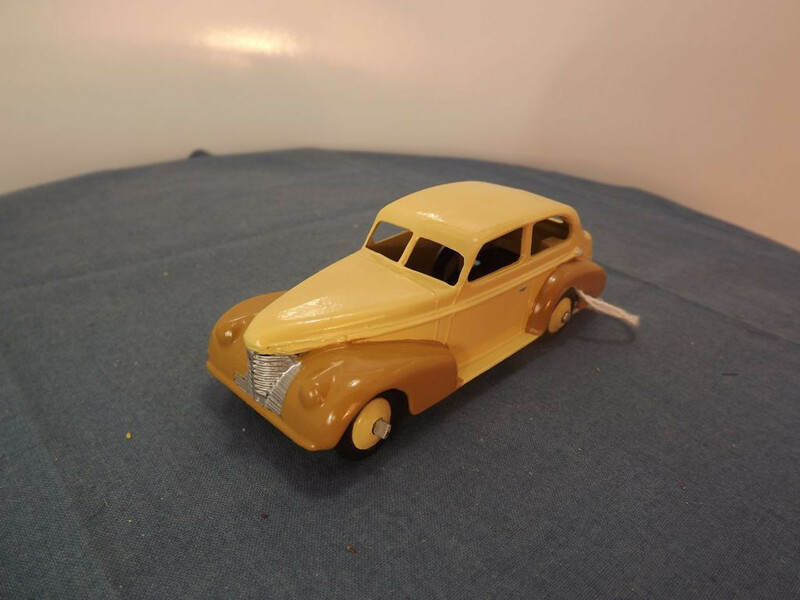 This model is the Dinky 39bu-G-9 Oldsmobile 6 Sedan in Cream and Tan. The 39bu was originally one of three two-tone models issued for the USA market in 1952. This Code 3 has been reproduced quite well, even to the extent of hand painting the Tan colour as on the original versions. The model features no opening parts, all features are cast into the body casting. There is no interior or glazing on this model. 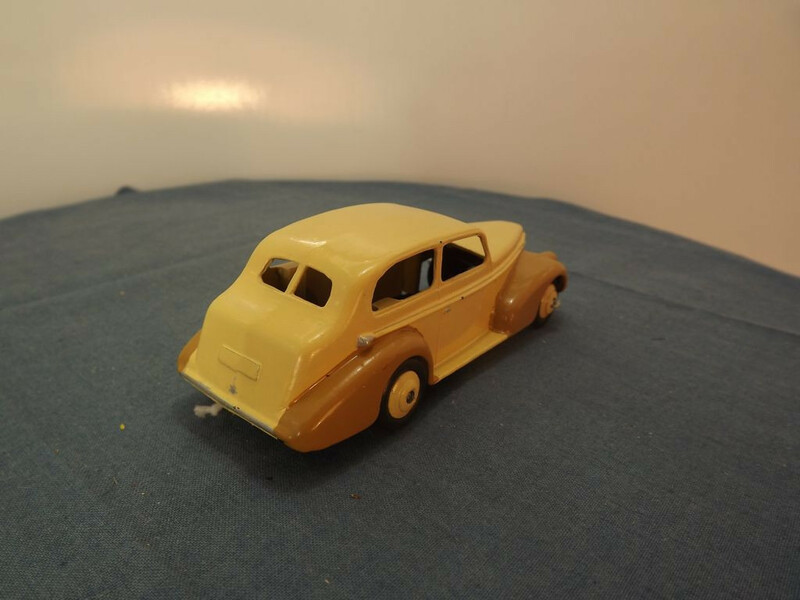 The front and rear bumpers, wheel arches, bonnet, radiator grille and headlights are all details molded into the body. The radiator grille, door handles, and rear bumper have been picked out in silver. All wheels are of the shaped cast metal type - solid one piece cast metal hubs with a separate black "rubber" tyre. 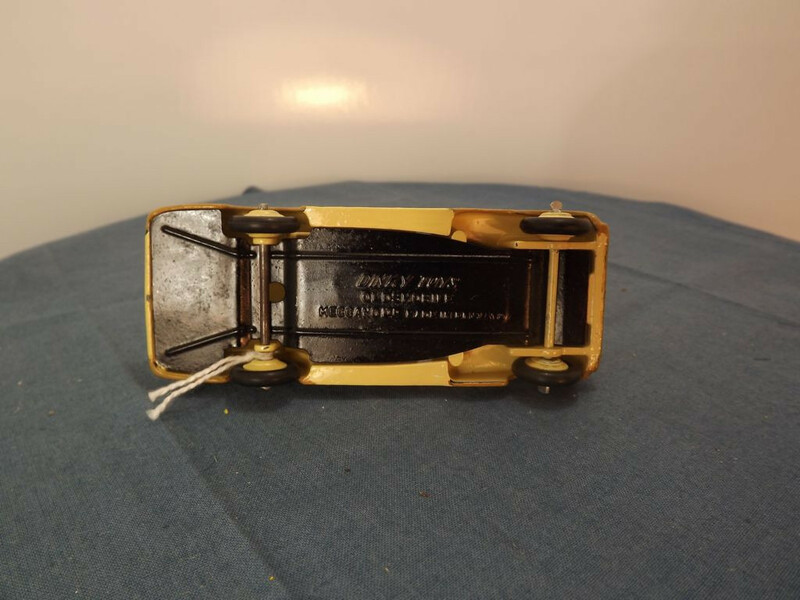 The base plate of this model is painted black and bears the legend "Dinky Toys" at the centre top, "Oldsmobile" in the middle centre, and "Meccano Ltd. Made in England" at the centre bottom. Issued in 1952 for the USA market.